Traveling is hard. Whether it's a road trip for just a few hours, or flying halfway across the world, it'll cost something. That could be time, money, and even your own comfort at times, but let me be one of the many who will tell you: it's worth all of it. It's a life-changing experience, and one that will be inspirational for you in your day-to-day life. Travel expands your horizons (literally), and gives you new perspectives that you wouldn't have had if you stayed home. The adventures that you have will fill your soul - and that's so inspiring! So here are some of my reasons for why travel is inspirational, and totally worth the cost. You gain a new perspective - You’d be surprised how many people don’t live the same way as we do here. We all come from somewhere, and that somewhere will look very different than it does halfway across the globe. If you’re staying within the country, traveling a few states away, or coming from the countryside to the big city, there is always going to be a change in culture. With the right mindset, a change of perspective is inspiring and refreshing. If you’re traveling across the world into another country, you’ll see that some of the things we take for granted - running hot water, lots of space to live in, and the ability to go to college and get a job that pays well - don’t exist in other countries. A newfound appreciation for the privileges we have can inspire a whole new outlook on life. You get out of your comfort zone - Whether you travel alone or with a whole group of people, stepping into a new place that you’ve never been before has a wonderful way of pushing you outside of your comfort zone. While it’s uncomfortable, it could be the best way to give you a dose of inspiration. 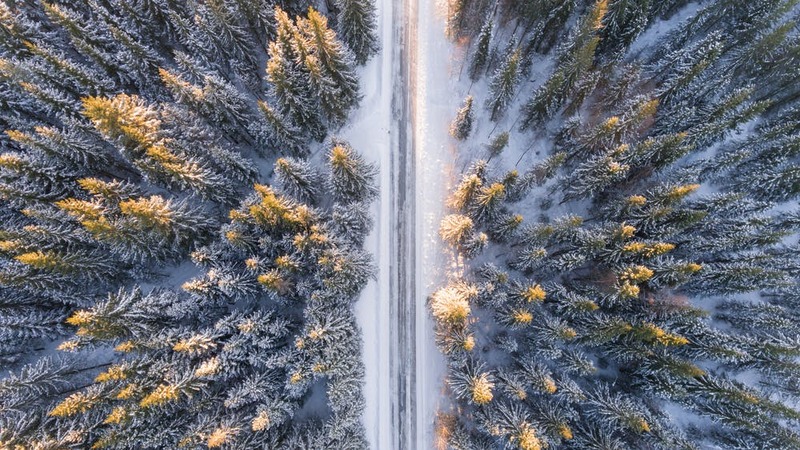 Going outside of your own boundaries makes your mind think differently, and it’s the perfect fix for when you’re trying to find a different angle on something. 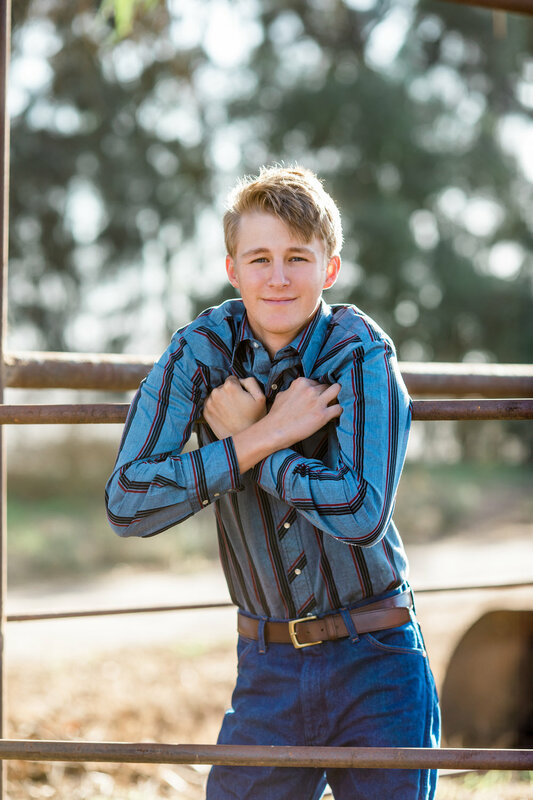 You might find a confidence that you never knew was there before, and the ability to tackle new challenges; both of which are so valuable for seniors who are graduating and about to settle into adult life. You experience exotic places - Maybe you’ve heard of people’s lives being changed just by gazing at the Grand Canyon. It’s not unheard of to become overwhelmed with inspiration just by looking out at an amazing landscape. You don’t have to go far to experience these wonders, either - just in California, there’s Yosemite, Joshua Tree, Death Valley, and Lake Tahoe. And across the globe, you can take your pick from some of the most beautiful sights on the planet. Those are the sort of places that are beckoning you, and they just might change you from the inside out. You can enjoy different cuisines - Travel is a favorite pastime for foodies. Outside of the classic cuisines of Europe, there are unfamiliar but incredible cuisines of South America and Asia, to name a couple. If you have the joy of traveling to the places less traveled, you’ll find hidden gems in their restaurants. It could be authentic curry from Thailand, fermented shark in Iceland, or roasted guinea pig in Peru - trying new things always expands horizons. It can be inspiring to light your tastebuds on fire with authentic Indian cuisine, or to challenge yourself with a bit of haggis in Scotland. The ability to keep an open mind and try new things is something you can carry with you throughout your whole life. Travel and adventure fill the soul with inspiration, and creates wonderful memories that you can bring with you everywhere you go. Taking a trip can be the perfect way to celebrate a big event, like a high school graduation, and it gives a massive dose of inspiration to your life. 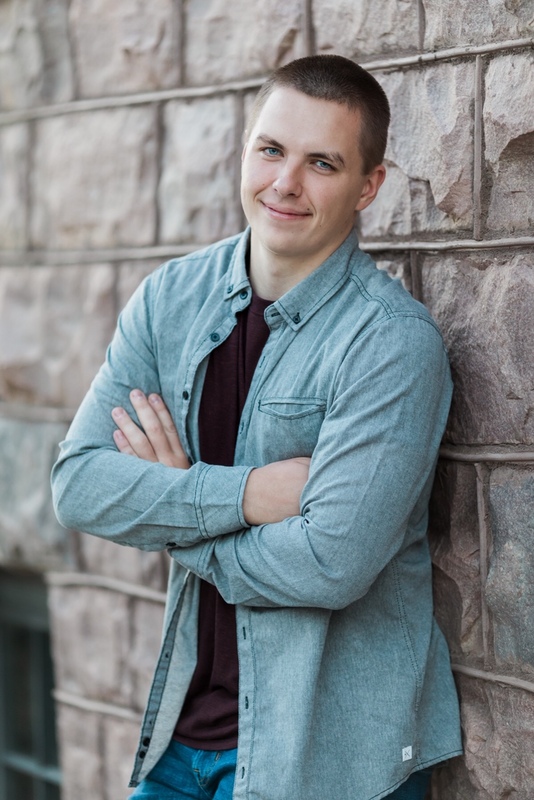 A senior session is another way to celebrate all of the hard work you’ve done over the years, too - contact me here to book your session! A caring and beautiful person gives life to all those around them, and Jillian is one of those marvelous people. She’s graduating from Ernest Righetti High School, and is moving on to Allan Hancock College for two years, then onward to California State University in Fresno to finish a degree in Child Development. She has great aspirations for her life, and is living them out as she holds the office of Vice President of the Associated Student Body, and plays varsity soccer. I loved the style of Jillian’s session; the colors and the atmosphere made for some wonderful senior photos featuring Jillian’s wonderful personality. 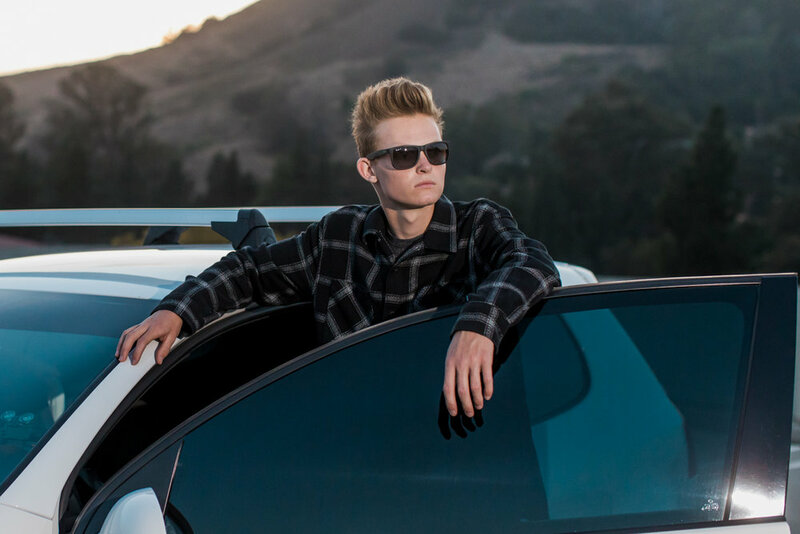 We shot the portraits in the cute little village of Arroyo Grande, and utilized the great mix of nature and urban vibes to create a truly unique set of photos. Jillian’s wardrobe was perfect, even down to her lovely burnt orange nails, and it went wonderfully with each location. 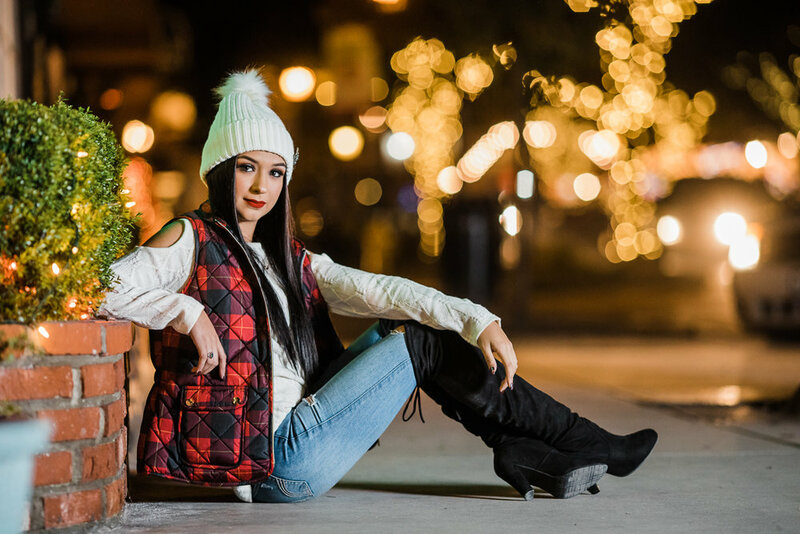 We worked together to figure out a good vision for her senior session, and with her input, we created multiple palettes and moods for each shot. I especially love the one showcasing Jillian’s pearly smile, green link fence, and her complimentary outfit. She describes her style as earthy; it might be a style that’s not worried about added frills, but it’s one that’s grounded, truly representing her personality. Jillian looks up to her dad, because he is well respected. It’s a trait of her whole family, something I witnessed when I handled Jillian’s brother’s senior photos, and her mother’s wedding. They’re good people with warm hearts, and it’s been an honor to capture each of their unique spirits. It was a joy to get to know Jillian, and her interest in working with kids. I know that she’s going to go far, and impact many lives with her wisdom and care. It’s such a blessing to witness someone passionate about caring for the development and flourishing of children, and I can’t wait to see how Jillian puts her passion to use. I wish you all the best, Jillian! I'm proud to be your namesake. One of the most memorable things about beautiful Jada was her unique spirit. Soft, sweet and genuine, she made the session into a wonderful day. 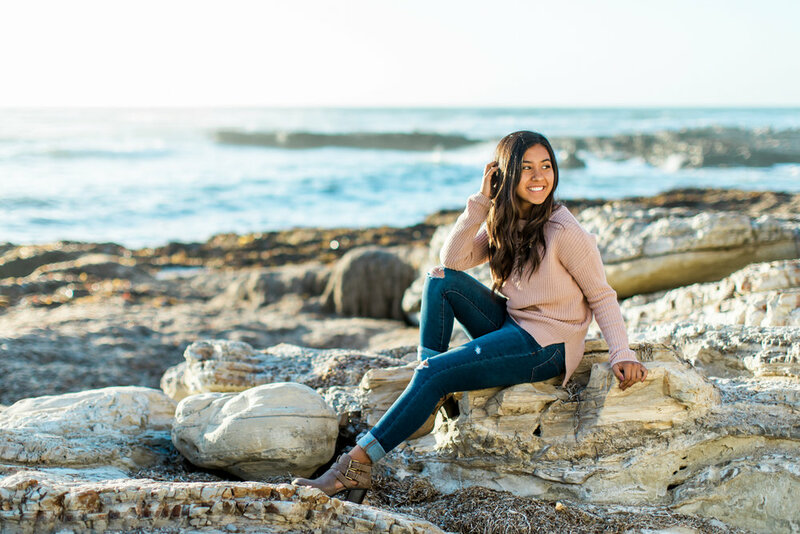 She’s graduating from Cabrillo High School, and she has her mind set on pursuing a degree in something that she loves to do, at UCSC or CCA. She’s a creative girl, and loves to express that passion through writing, fashion, or design, so the majors she’s interested in are Journalism, Interior Design or Fashion. I love her style, it was versatile and unique to her own personality, and it looked gorgeous on her! We had her session out in Los Olivos, in its beautiful wine-country landscape. We walked around downtown, and found some colorful backdrops to highlight Jada’s gorgeous looks. The sun added a lovely backlight in many of the pictures, giving her an added glow to her already radiant personality. Her vision for her session with me was for it to be fun, and make her feel beautiful, and I think that we made that happen! Jada’s a humble girl, and has a quiet confidence about her that is inspiring to me. I asked her who she looks up to: “Yara Shahidi; she’s only eighteen and is constantly under the public eye, but never fails to spread her positivity and kindness.” She said, “Yara is extremely intelligent for being so young, and constantly talks about her desire for equal rights in America. She’s also one of the people who taught me how to accept and love my natural hair, and that there is more than one definition of beautiful.” You can tell how thoughtful and insightful Jada is; the earlier that you learn the truth about there not being one definition of beautiful, the better, and Jada’s journey so far has given her such a wealth of wisdom. It was a wonderful day spent with Jada, and it’s always a joy of mine to get to know such passionate people. Jada loves this too, and while she’s going to miss high school, she keeps the memories she’s made close to her heart. One of her favorites was one day after school, driving out to the beach with her friends, simply to spend time with each other and, in her words, did nothing but laugh. It’s those memories that will last a lifetime; even though they might not be extravagant, it’s the good times with people that we love that we seem to remember the most. I wish Jada many more wonderful memories, and the greatest success in doing what she loves to do. Congratulations! 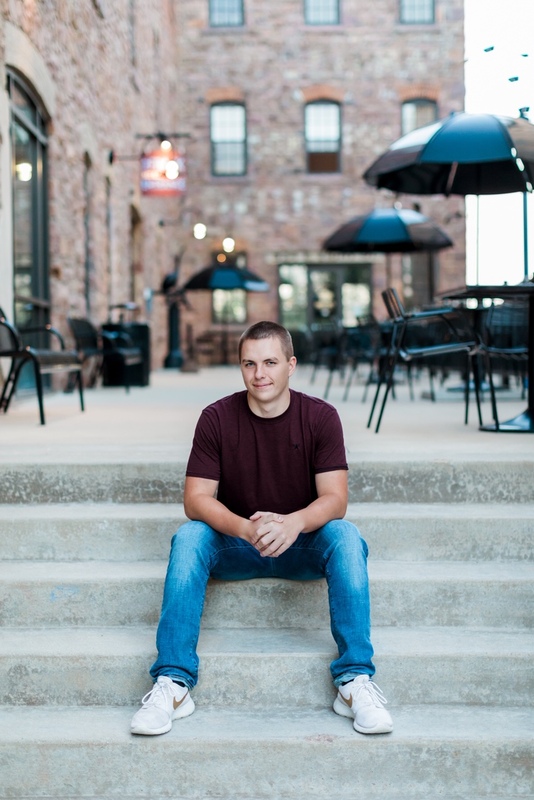 Marc was an amazing client, and was one of my VIP seniors. He says, "Being a VIP was a great experience, because I was able to express myself in a way I have always wanted to, and look good at the same time. all of the shoots were fun because I was able to by myself, and work with great people! I would be a VIP again, a thousand times over, and would recommend it to anyone else!" 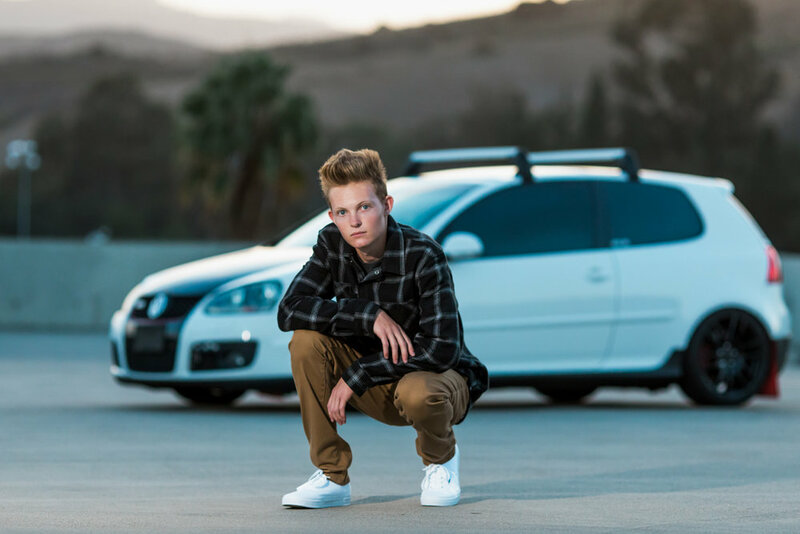 Marc's mom, Terri, was also as enthusiastic about the process and added, "As a mom, I got to watch my son become more confident, and being in front of the camera gave him something to be proud of. Jill made this a great experience, that was fun, easy, well-thought-out, and professional. I recommend it to anyone who has a senior!" 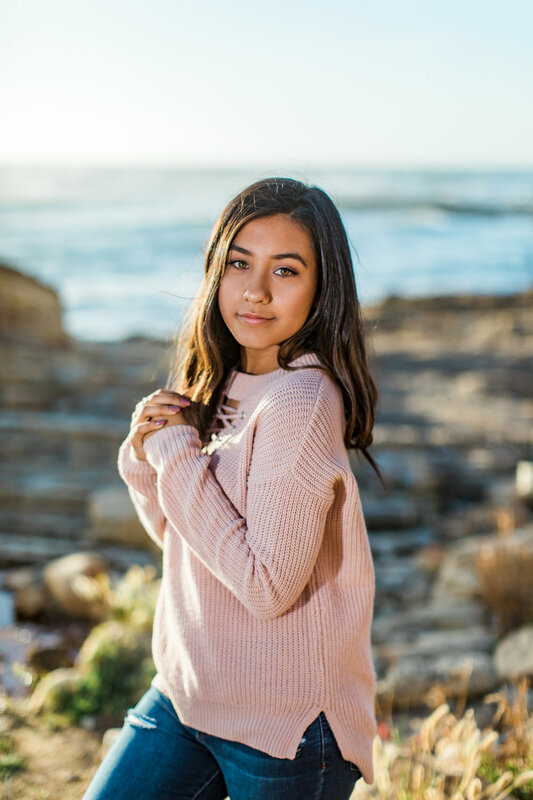 Seyenna, who's gorgeous session you may remember from it's water-side charm, also had a very thrilled mom (Stephanie), who says, "Jill made the experience so fun and memorable. Her professionalism, creativity, and love for her craft truly shows in every image she creates. I highly recommend her, and she has become a lifelong friend to our family." Ana's bohemian session was one for the books. I appreciated her open mindset, and sweet heart. She shared, "I really had an amazing experience, one that not everyone gets to have. Jill made being in front of the camera way too much fun, and so easy. I loved getting to be myself, and Jill was the one who made that happen. I would recommend this experience to everyone, as it was something I will remember forever!" Are you ready to schedule your own custom senior session, or join my VIP team? I'd love to talk to you soon! I chose Jillian Marie because I loved her photos and every review I heard was great! Amanda's stylish wardrobe made me wish I had a special occasion to wear a beautiful white dress like this one! 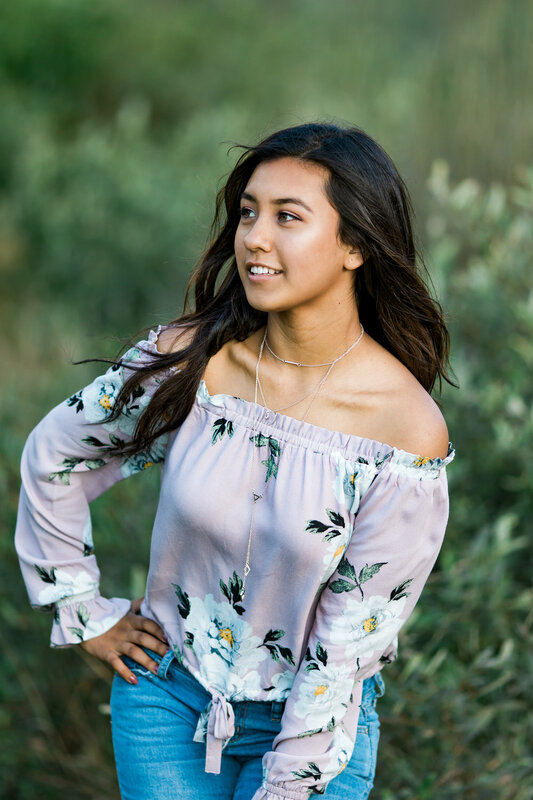 Although I am not in high school anymore (haha), I love living vicariously through these strong, beautiful seniors I get to work with...Seniors like Amanda. She's a senior at Santa Maria High School, where she's had plenty of memorable experiences. "My favorite memory from high school would have to be from my freshman year on Halloween", she explains, "After school, all of my friends and I had gotten ready and got together in Orcutt to go trick or treating, but it started to rain. So, we all hid out in the garage and when it didn't stop we went around in the rain and got a box full of candy, it was super fun and memorable!" Besides academics and time with her friends, Amanda also enjoys participating in the local FFA, where she previously raised a market steer. She also has two horses named Max and Pancho, who she rides and competes with in Gymkhanas. When she is not busy with these commitments, she works part time for the Santa Maria Elks Rodeo Office, and volunteers with the California Highway Patrol doing clerical work. Working with animals is one of her biggest passions, and she's been able to weave it into something else she is excited about: mentoring and investing in work with children. She says, "I love mentoring elementary age children in agriculture, because they are such great listeners. Their faces light up when you talk about animals!" As a mentor herself, she also looks up to many strong people in her life, especially her mom. "My mom is my personal hero, she's gone through so much, and is still supportive, hardworking, and loving. She makes me so grateful, and her and my dad are both my biggest cheerleaders", she adds. 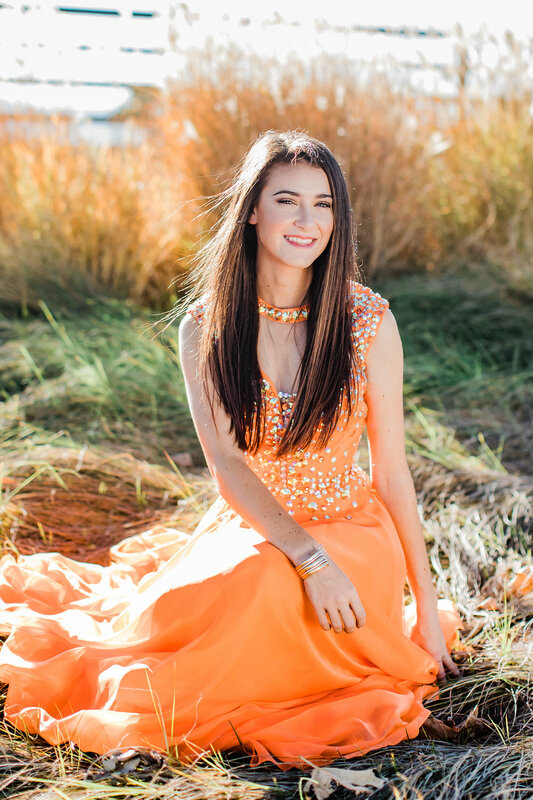 When we sat down to plan out her shoot, Amanda shared that she wanted to 'laugh a lot of and feel beautiful', and we definitely succeeded! 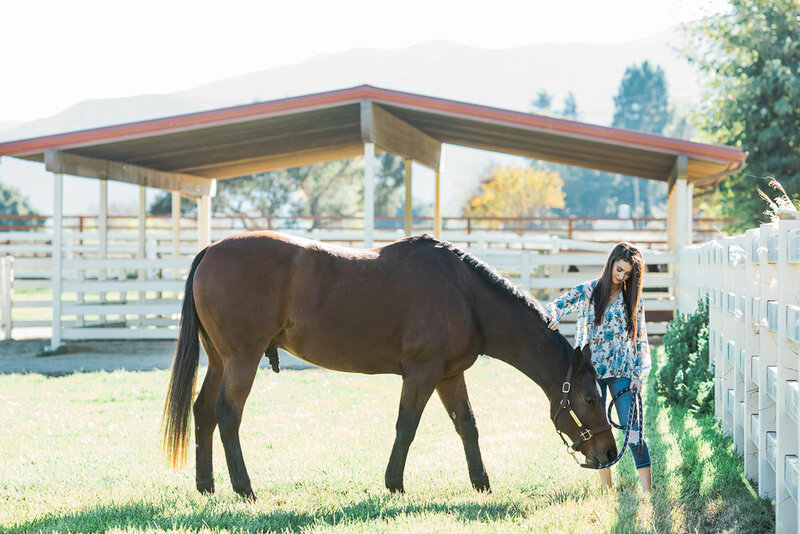 We did this session at the Dana Powers Barn in Nipomo, because it incorporated her love of animals. 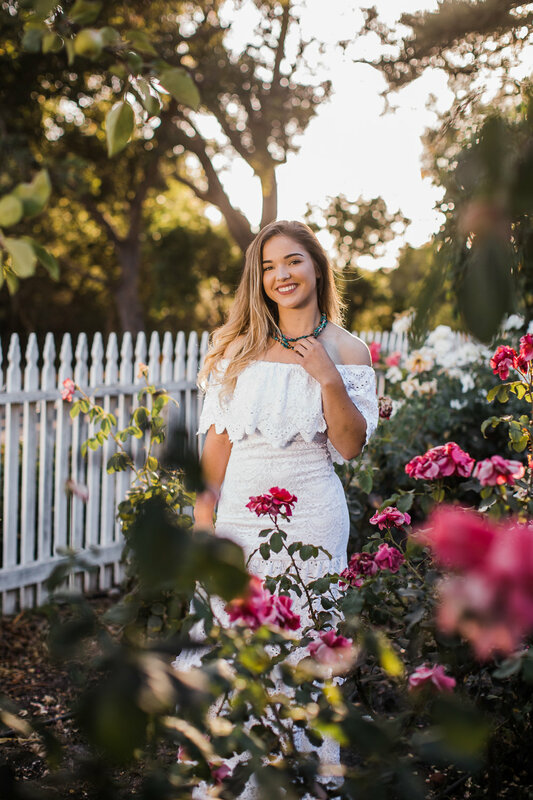 After graduation, this bright and sweet girl is off the Cal Poly SLO, where she plans to major in Agricultural Communications or Crop Science, something she hopes to make a real difference with. Thanks, Amanda, for introducing me to the things that you are passionate about, and for being so lovely to work with! What a special and wonderful time it was with Megan! The light was gorgeous, serving as a suitable background for her own beauty, and it made for a spectacular day. 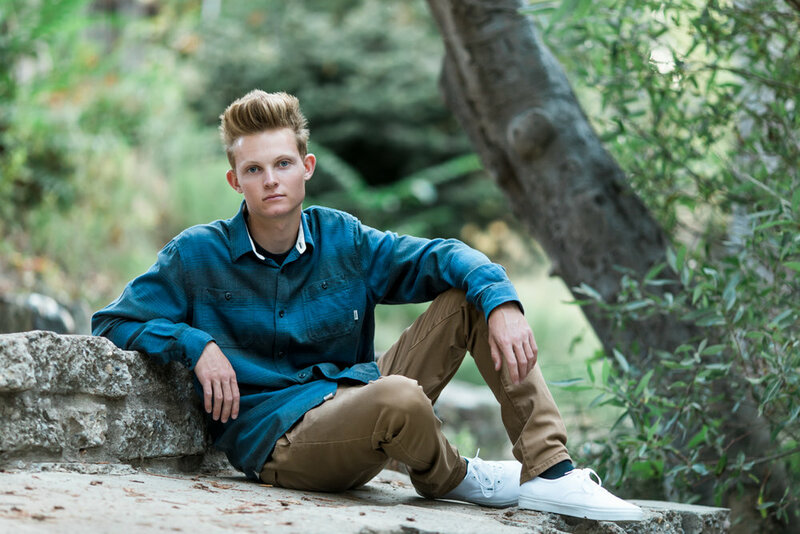 Megan’s moving on from Santa Ynez High School, and the next step for her is university. By her own admission, she’s always been interested in the sciences, so she’s planning on majoring in biochemistry. She’s got a great head on her shoulders, and she’s passionate about caring for animals. Her friends have really noticed her sense of passion, especially, and they describe it as one of her core strengths. 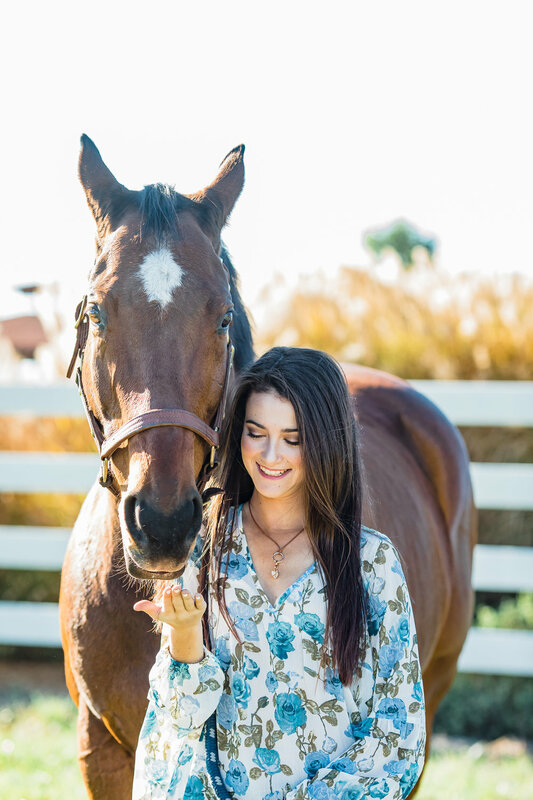 The beautiful background you see in Megan’s photos is courtesy of a mutual friend, and Megan loved the opportunity to bring her beloved horse, Chunky, along for the shoot. He was quite the ham for the camera, and you could see the strong connection that the both of them have in the pictures. She works for her horse trainer, during the summer, and spends any of her free time during the year at the ranch helping in any way she can. She looks up to her trainer, Jennifer, and she’s inspired by how great of a rider, person, mother, and friend she is. She loves every moment she can spend with Jennifer at her ranch. 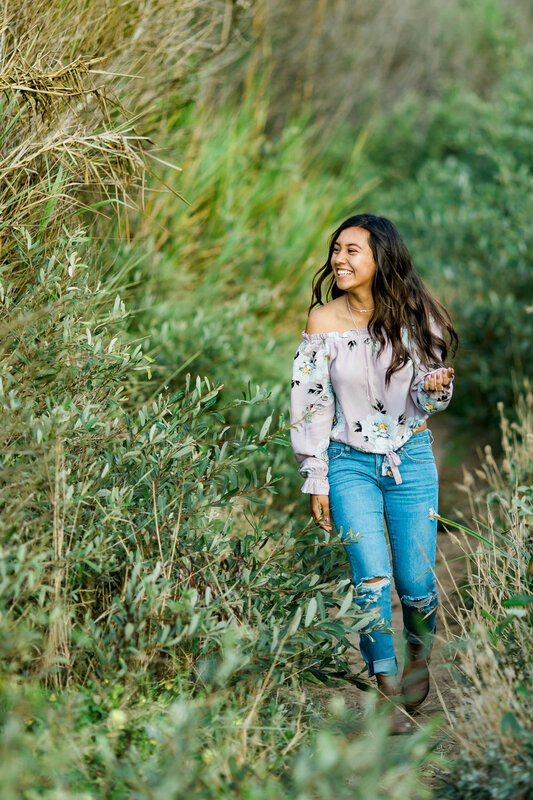 The ranch was the perfect place for her session, and you can really see it! All in all, it was a great day with Megan. She was pleasantly surprised at how smooth and nice the session was, and she was very excited to get her photos! She chose some wonderful outfits that really stood out against the wonderful backdrop, and her smile was timeless. It was such fun getting to know her, and I look forward to spending more time around her (and Chunky!) soon. I wish you all the best Megan!